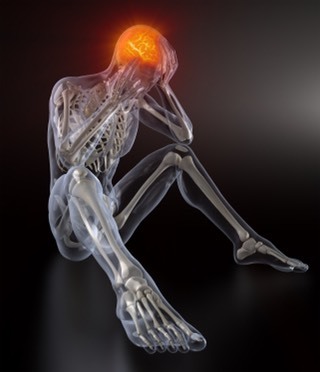 Traumatic Brain Injury Attorneys — Nguyen Leftt, P.C. It is scientifically known from overwhelming peer review articles and legitimate scientific journals that both Diffusion Tensor Imaging (DTI) and Quantitative Electro-Encephalography (QEEG) can detect Traumatic Axonal Injury (TAI) where both MRIs and CTs can fail to do so. Traumatic Axonal Injury (TAI) is an injury to the axons within the brain and is involved in most cases involving Traumatic Brain Injuries (TBI). In my other comments, I have explained in further details what axons are and their functions within the brain. Simply put, axons are the part of the neuron which act as the communication pathways. Axons can be damaged when the brain is caused to suddenly move and stop/ accelerate and decelerate. This can occur even where there is no actual impact to the head. It is the sudden motion of the brain which causes different parts of the brain to move at different speeds. This is due to the various densities (weight) of parts of the brain as well as to the asymmetrical and lack of aero-dynamic design of the brain. Compare the half eaten mushroom like shape of the brain to that of a golf ball or baseball. Both of the latter are designed so that the weight and shape are optimal for traveling. Even these balls start to stretch at certain speeds (view in slow motion and the balls warp into egg/oval shapes). Now imagine how poorly designed the brain is to move. Every boy wants to be a football star. It is the ultimate dream of masculinity and success. That is why the NFL has made billions of dollars. What the NFL has left out in the glamour is the damage that these players/gladiators suffer- concussion/mild traumatic brain injury (mTBI) with long term devastating effect. From the early years of peewee league, little boys are taught to tough it out. This culture is manifest throughout high school and then if you're "that good" COLLEGE!!! "Shake it off" is what the little guys are told when they get a heavy hit or medically known as a concussion or mild traumatic brain injury (mTBI). This "Culture of Denial" perpetuates and pervades since toughness is the name of the game. Most people, including doctors, believe that in order to suffer traumatic brain injury (TBI), some contact to the skull is required. In other words, some type of blow to the head must have occurred in order for one to suffer traumatic brain injury (TBI). This misunderstanding or misguided belief is due to the failure to recognize that subjecting the brain to sudden acceleration and sudden deceleration forces which causes the brain to suddenly shake or move inside of the skull can lead to damage of the axons. The billions of axons in the brain act as communication highways between different neurons relaying information in form of electrical and chemical signals. When the brain is caused to suddenly move forward and backward (sudden acceleration and deceleration), axons can be damaged since the brain moves at different speeds due to the non-uniformity of both its' shape and weight. Unlike a baseball or golf ball, the brain's weight and shape are unevenly distributed. So when the brain moves, different parts of the brain moves faster than other parts of the brain due to the non-uniformity of both its shape and weight. When this happens, the axons, also known as the white matter, in the brain are stretched and can be damaged potentially leading to loss in electrical conductivity. This type of traumatic brain injury (TBI) is known as Traumatic Axonal Injury (TAI). Chronic Traumatic Encephalopathy (CTE) is like scar tissue of the brain. If you suffer microscopic lesions due to sudden acceleration and deceleration movements of the brain—commonly involved with traumatic brain injuries (TBI), over time these lesions form scar tissue which chokes that part of the brain from nourishing blood and oxygen flow. This can lead to death of that part of the brain—encephalopathy. Repeated concussions or traumatic brain injuries (TBI) involved with sports like boxing, football, and wrestling would lead to higher occurrences of Chronic Traumatic Encephalopathy (CTE). But Chronic Traumatic Encephalopathy (CTE) can occur with repeated traumatic brain injuries (TBI), as well. Depending upon which parts of the brain are affected by Chronic Traumatic Encephalopathy (CTE), the neuropsychological sequelae can range from depression to memory loss to dementia. About a week ago, President Obama announced that his administration plans to support a decade long study to map the human brain activity. The project is called the Brain Activity Map (BAM) Project. All experts universally agree that the Brain Activity Map (BAM) Project will be vastly more complicated than the project which sequenced the human genome. At the heart of the Brain Activity Map (BAM) Project is attempting to understand the organization or blue print of the connections between the billions of neurons in the human brain. It is the connection between the neurons (neural networks) that is the foundation of communication within the brain. The neural networks are formed from possibly trillions of connections between billions of neurons. To illustrate the infinite number of connections that can form within the human brain, a simple worm brain has 302 neurons which can lead to 7000 connections. The human brain has 85 to 100 billion neurons. On Superbowl Sunday morning, as I was drinking my coffee, Chris Matthews discussed the topic of Traumatic Brain Injury (TBI) with regard to the NFL. One commentator said knowing what he knows despite his love for the game, he will never let his son play football. Players nowadays are faster stronger and hitting harder than ever before. The stronger and faster they are the harder the hits will be. Why? The stronger and faster the fullback or running back are, the stronger and faster the defensive linemen and backs will need to be to be able to take them down. And we know how the NFL draft works. No safety device will ever protect the brain from Traumatic Axonal Injury (TAI) or Diffuse Axonal Injury (DAI) or lesions resulting from coup contra coup forces. The mechanism of Traumatic Axonal Injury (TAI) or Diffuse Axonal Injury (DAI) or lesions resulting from coup contra coup forces do not require even trauma or actual physical force to the head. It is the sudden movement or sudden acceleration and deceleration of the brain when the head suddenly jerks backwards and forwards or sideways that causes Traumatic Axonal Injury (TAI) or Diffuse Axonal Injury (DAI) or lesions resulting from coup contra coup forces. 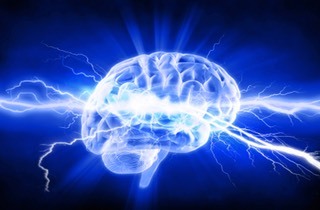 One of the best ways to investigate whether a person suffers from Traumatic Brain Injury (TBI), whether it be Severe Traumatic Brain Injury, Moderate Traumatic Brain Injury, or Mild Traumatic Brain Injury (mTBI) is by studying the brain wave patterns and activity through Electro-encephalogram (EEG). Electro-encephalogram (EEG) has been been used by neuroscientists to investigate psychiatric and neurological conditions since the early 20th Century. However, Electro-encephalogram (EEG) analysis was subject to the vagaries of human error since it was examined by human eyes. More subtle wave deviations from the norm were often unrecognized and resulted in the Electro-encephalogram (EEG) study reporting a normal finding. 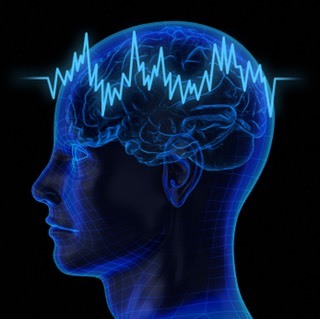 With the invention of the computer starting in the 1960s and 1970s, a more objective and accurate investigative method of analyzing brain wave activity and patterns developed — Quantitative Electro-encephalogram (QEEG). It has been found by scientists who are knowledgeable and have used Quantitative Electro-encephalogram (QEEG) that Quantitative Electro-encephalogram (QEEG) has proven to be more accurate and reliable in detecting abnormal brain wave activities and pattern than Electro-encephalogram (EEG). What happens when an attorney without Traumatic Brain Injury (TBI) expertise handles a Traumatic Brain Injury (TBI) case? My firm took over a case from a prior firm. At the time of my taking over the case, the case was 1 month away from a final trial date. Upon review of the file, I realized that the prior firm failed to prepare the case in order to prove that the client suffered a mild Traumatic Brain Injury (mTBI). What was more alarming was that the prior firm did not even understand the medical and diagnostic tests that the client had undergone. In reviewing the case file, I realized that the prior attorney failed to follow up with the Diffusion Tensor Imaging (DTI) study which indicated a nonspecific finding and recommendation of quantitative analysis (QA) of the Diffusion Tensor Imaging (DTI) study. The Diffusion Tensor Imaging (DTI) study was done almost a year before the client came to me to take over the case. Nonspecific findings mean that there's no way to differentiate the potential causes of the white matter abnormality or diffuse axonal injury (DAI) as well as whether it is within the norm. It is well accepted that white matter abnormality or diffuse axonal injury (DAI) can be within a normal population. It is the degree of the abnormality away from the standard norm that is critical to determine if the white matter abnormality is within the normal population or truly abnormal consistent with some type of disease- outside the norm. The diseases that can cause structural damage and changes to the axons can be cerebral vascular diseases (Diabetes, stroke, hypertension) as well as Traumatic Brain Injury (TBI). I was asked by a well regarded attorney to co-counsel on a case involving mild Traumatic Brain Injury (mTBI). It was a very difficult mild Traumatic Brain Injury (mTBI) case wherein there was no immediate hospitalization, no brain bleed, and there was confirmed cocaine use with an effective argument that it was prolonged use of cocaine (the psychiatric sequelae from cocaine use overlap the psychiatric sequelae of TBI: erratic behavior, anger control, sleeplessness, emotional instability, transcient focus...). My role was to investigate the mild Traumatic Brain Injury (mTBI) of the case and prepare this aspect of the case for trial. There was no expectation that the case would settle. From Positron Emission Tomography (PET) scans performed, I had a distinguished radiologist and psychiatrist develop a 3 Dimensional rendering of the Positron Emission Tomography (PET) scan. I believe this has never been used in NYS. Within 1 year of my involvement, we settled the case for $3,250,000.00 Million. At the time I was asked to co-counsel, there was no offer. With mild Traumatic Brain Injury (mTBI) cases, it is necessary to rule out other non-trauma causes for the brain disorder/ disease. The reason is that in mild Traumatic Brain Injury (mTBI) cases, there is often no immediate physical signs of trauma such as loss of consciousness (LOC), hematomas, hemorrhages, bruising or cuts to the head. This is especially true in the sudden acceleration and deceleration/ coup contra coup mechanisms of injuries following motor vehicle accidents wherein the victim suffers a whiplash motion to the head and spine following a rear end or side impact collision. This can lead to white matter shearing/ Diffuse Axonal Injuries (DAI) that will likely never be detected during the initial presentation to the ER or other acute medical provider. In fact, symptoms of Post Traumatic Stress Disorder (PTSD), which can be caused without Traumatic Brain Injury (TBI), overlap symptoms of mild Traumatic Brain Injury (mTBI). The defense often focuses on the lack of complaints of symptoms related to mild Traumatic Brain Injury (mTBI) during the initial presentations in order to convince the jury or those unfamiliar with mild Traumatic Brain Injury (mTBI) that the brain disorder(s) were not caused by trauma to the brain during the accident but from other non-traumatic causes or from pre-existing conditions. 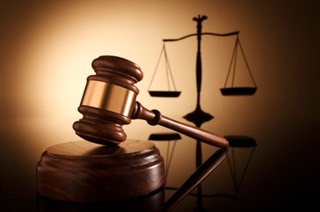 I’m a personal injury attorney and proud to serve those who’s lives have been damaged due to negligence. 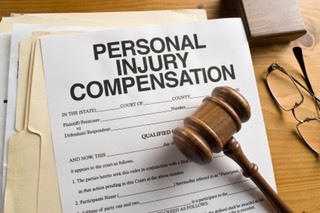 Due to those in the profession, people are able to seek just compensation for their losses from those that caused it. Yet the public perception of the typical PI attorney is that of a greedy, cheesy ambulance chaser who does nothing more than bring frivolous lawsuits causing their insurance premiums to rise as well as hindering societal progress. How can this be? We can put part of the blame on the insurance companies who spend an enormous amount of money on tort “reform” and marketing in order to influence the public (and the jury pools). But let’s start with a look in the mirror first. If we want the public to see who we really are, we need to first change the way we present ourselves. For example, everyday, millions of New Yorkers ride the New York City subways on their way to and from work or wherever they are going. When the typical Joe looks up in the subway car, he sees advertisement from PI firms. Instead of the content conveying that the firm helps those recover for harms caused by the negligence of others, all Joe sees is dollars, millions of dollars. What does that ad convey to a typical viewer who earns $35,000-$50,000 a year? What does that ad convey to Joe, who may be on his way to serve as a juror? On November 20, 2007, Andre Waters, the former defensive back of the Philadelphia Eagles and Arizona Cardinals, committed suicide from a self-inflicted gunshot wound. It was three days before Thanksgiving. He was a father of three children and 44 years old at the time of his death. Mr. Waters was known to his family and friends as an easy going and caring man and his tragic death confounded them. 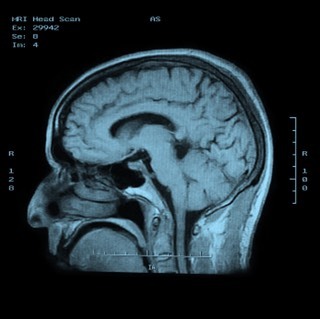 After his death, an autopsy of Waters' brain was performed. According to the leading forensic pathologist who conducted the autopsy of his brain, Water's brain looked like that of an 85 year old man with Alzheimer's. The forensic pathologist believed that the brain damage suffered by Waters due to repeated concussions may have led to his depression and suicide. The expert believed that the continued deterioration of the brain tissue suffered earlier in Water's life lead to the depression and eventual suicide. A traumatic brain injury (TBI) can occur from various types of trauma including a motor vehicle accident wherein the brain is subjected to the sudden acceleration and deceleration force or coup contra coup type of force to repeated trauma from sports such as football and boxing. 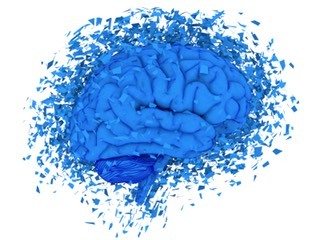 The effect of the traumatic brain injury (TBI) often does not surface until years later. However, the deterioration of the brain tissue due to the traumatic brain injury (TBI) will be building up slowly over time. 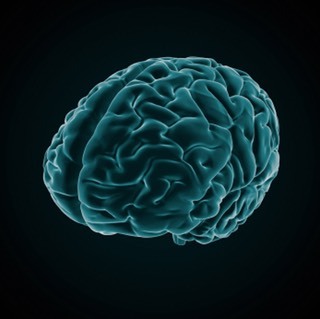 In my experience with litigating Traumatic Brain Injury (TBI) and Mild Traumatic BrainInjury (MTBI) Cases, I have found that most, though not all, neurologists to be ignorant of MTBI. In my experience with neurologists, they do not have the specialty to perform neuropsychological examinations (NPE) and test for cognitive dysfunctions. The neurologist most commonly perform gross mental status exams designed to detect diseases such dementia and Alzheimer's. Neurologists are more concerned with the peripheral nervous system and less with axonal damage as is the case in Mild Traumatic Brain (MTBI). Yet the conventional belief is they are the experts in TBI. Again, that is why defense attys use neuros since most jurors believe that the neuro will be the expert to detect and treat TBI when in fact most neuros have no formal training to test or treat MTBI symptoms such as cognitive impairments. This is within the province and expertise of the neuropsych. 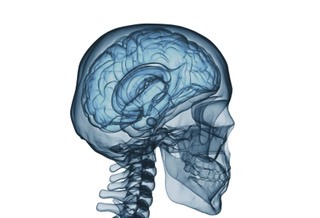 The defense attorneys and the insurance companies often seize upon this conventional misunderstanding of MTBI by the average person at trial by calling neurologists who will testify that he found no symptoms of Mild Traumatic Brain Injury (MTBI). What are the degrees of severity of Traumatic Brain Injury (TBI)? 3. Mild Traumatic Brain Injury- where the score of the Glasgow Coma Scale is 13-15. How does the Glasgow Coma Scale affect detection of Traumatic Brain Injury (TBI)? c. There is no Glasgow Coma Scale scoring done due to the superficial appearance of a patient and since he or she can answer basic questions in response. Can Traumatic Brain Injury (TBI) go undetected by the EMT and in the emergency room? Traumatic Brain Injury (TBI) is often undetected by the doctors, nurses and other personnel in the emergency room (ER). What happens during the initial response after an accident with regard to the investigation of Traumatic Brain Injury (TBI) is not to be misunderstood as a statement of the lack of care that occurs at the emergency room or by the emergency medical technician (EMT). 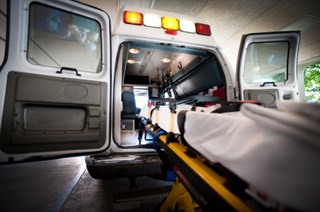 The ER is designed to treat emergency physical conditions that require urgent care in order to prevent death or immediate further injury to the body. The EMT's job is similar in that his or her job is to perform an initial and quick assessment, possibly perform CPR, splinting an appendage...etc. The EMT's main job is to keep the patient status quo and to get that patient to the ER. In both situations, where there is a closed head injury, it is often that Traumatic Brain Injury (TBI) is either unappreciated or undiagnosed. The insurance industry and their lawyers seize upon this failure to argue that since the Traumatic Brain Injury (TBI) was undiagnosed by the EMT and in the ER, then the accident did not cause the Traumatic Brain Injury (TBI). And jurors often lend credence to this argument since it is not commonly understood that in many cases, a person can suffer a Traumatic Brain Injury (TBI) yet it is undetected during the initial treatment period. What diagnostic tests are employed in the emergency room? 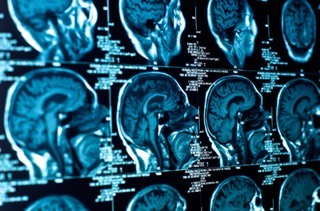 What can be done to prove Traumatic Brain Injury (TBI) when CAT scans are normal? This is the reason why it is important to retain the services of an attorney who has the experience in prosecuting Traumatic Brain Injury (TBI) cases. There are certain tests that will detect Traumatic Brain Injury (TBI) when the CAT scan as well as MRI scan have failed to detect Traumatic Brain Injury (TBI). Over the years, a number of neuro-imaging techniques have been developed due to the fact that Traumatic Brain Injury (TBI) specialists are well aware of the failures to detect Traumatic Brain Injuries (TBI) using conventional radiological scanning An experienced attorney who has prosecuted Traumatic Brain Injury (TBI) cases will have worked closely with doctors and neuro-scientists to understand the nature of the Traumatic Brain Injury (TBI) and how to prove it to the jury despite the fact that the Traumatic Brain Injury (TBI) was undetected initially. What is a closed head injury versus an open head injury? When a person suffers an open head injury, the skull is compromised in some way, often by being fractured. When a person suffers a closed head injury, there is no fracture of the skull. 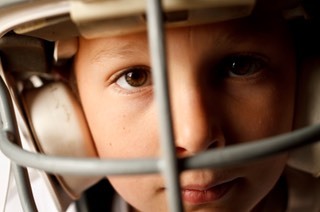 Most people, including doctors, believe that an open head injury is more severe than a closed head injury. This is incorrect. With closed head injuries, the result can be worse than with open head injuries since with closed head injuries, there is no place for the pressure from the fluids that build up after the brain is damaged to go but to press down upon the brain itself further damaging other areas of the brain. With open head injuries, the built up fluid escapes the skull and therefore does not press upon the brain causing further damage.